Whenever you directly download any file from the Nokia Store to your computer, sometimes it get saved with .dm extension. And if you try to install the same file in your Nokia Phone, it would get installed (you will get error: file not supported). Here, we are going to guide you How to rename or convert dm to sis files. 1. 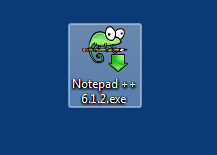 Download and Install Notepad ++ on your computer. 2. Now find the .dm file that you want to convert to .sis. 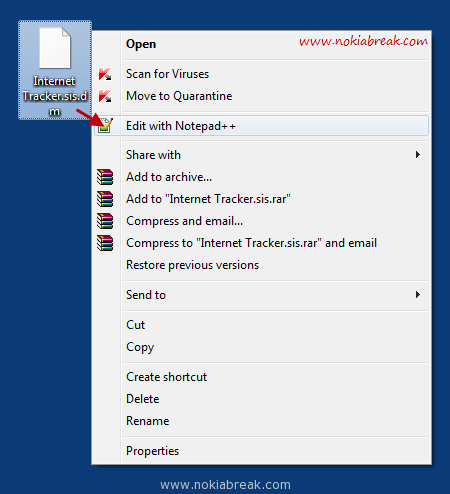 Once you have located the file, right-click on the file and select “Edit with Notepad++” (We are using Internet Tracker.sis.dm file as example to convert it in .sis file). 3. 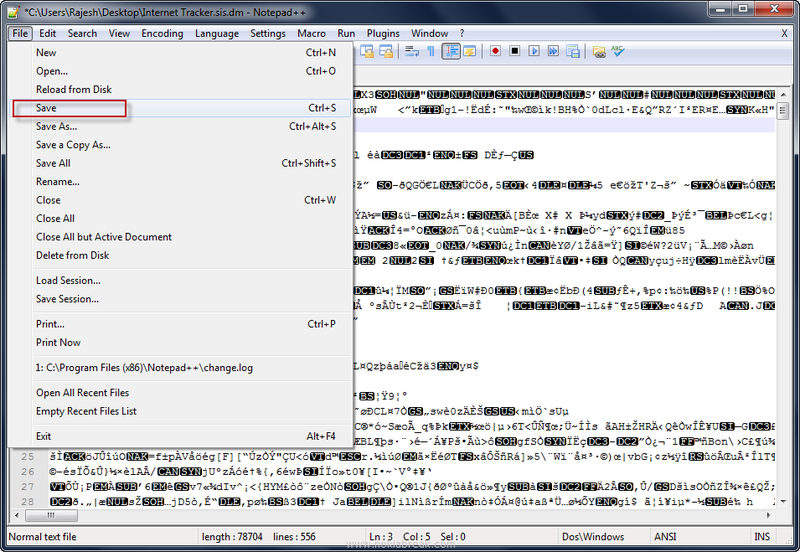 Notepad++ will open the file source code. Now, you have to edit the file source code carefully otherwise file will be not able to work properly or may get corrupt. 4. Now Go to File and click on Save button. After saving the file close the Notepad++. 5. Now, you have to rename the file from .dm to .sis. 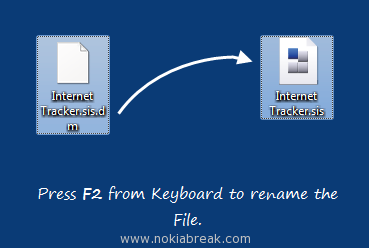 To rename, press F2 from the keyboard and remove the .dm after the .sis. 6. Once you are done, try to install the file on your phone. 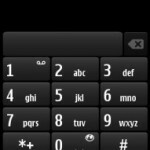 To install the file you can use Nokia Suite. Now, you will be able to see that the edited .dm file is working on your phone. 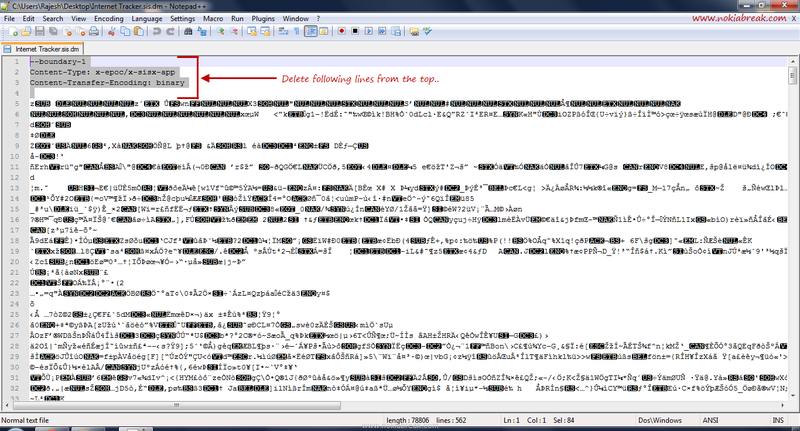 Note: While editing the .dm file in Notepad++, you will get few spaced on the Top and bottom. You have to remove those spaces with the text in Step #3, otherwise file did not work properly. We recommend you to watch the above video to understand the Step #3 properly. 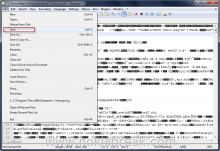 In this tutorial we have used Notepad++, which is the best Source editing software. If you have better alternative then also you can try the above tip. We have created this tutorial with lots of hard work. If you think every thing is well explained then do share this Tip with your friends using the social bookmarking sites. We have also shared lots of awesome How-to tutorials in our Tutorial section. 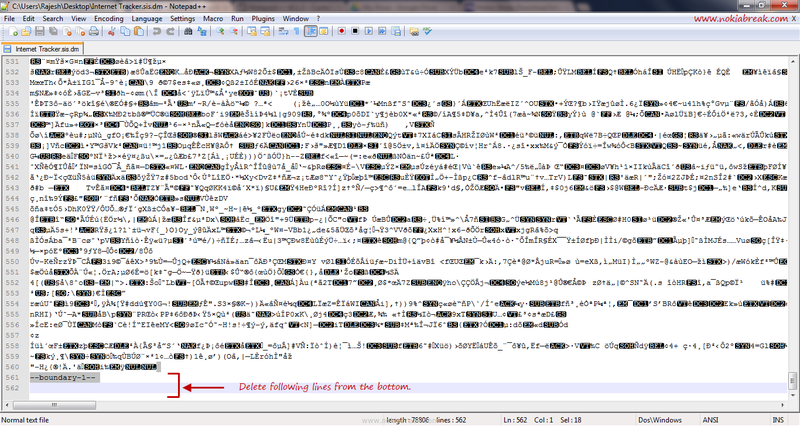 I tried converting file to SIS by just renaming it, I didn’t know about that Notepad++ stuff. Thanks for letting me know about that, now I can convert the downloaded DM files to SIS format easily.